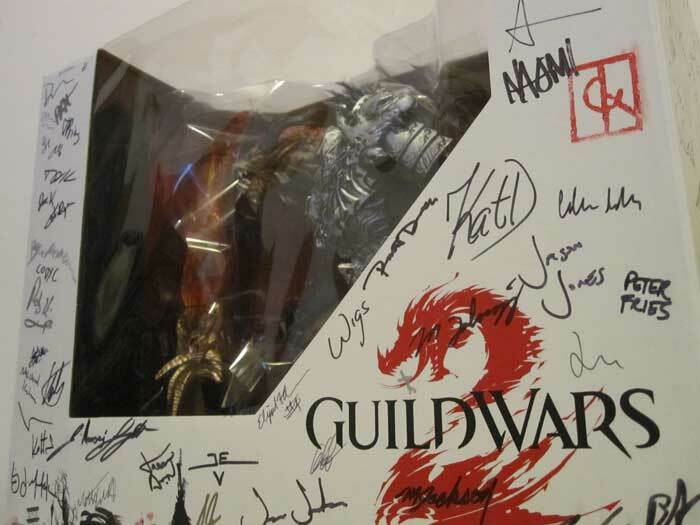 The awesome folks at ArenaNet have sent us a signed copy of Guild Wars 2 Collector's Edition to give away! 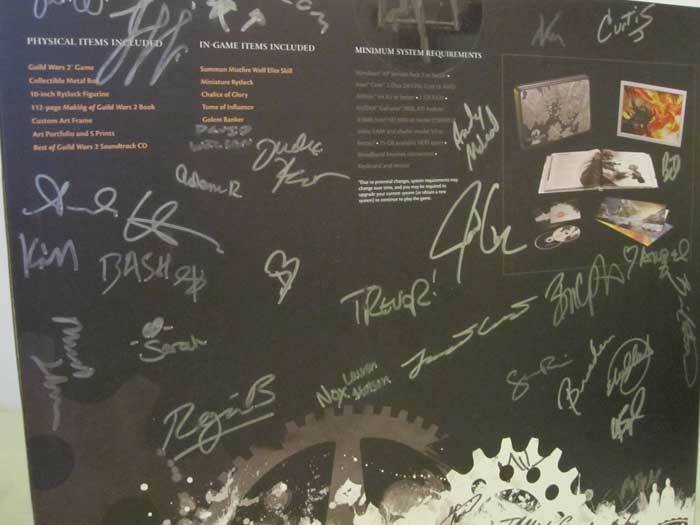 The CE box is covered in signatures on all 4 sides and then some. Now is your chance to enter in our little contest to win this for yourself or another friend. We figure that our followers are already Guild Wars 2 players and we want this contest to be as open to everyone as possible, so we're holding a screenshot contest with a bit of a spin! In the lovey dovey spirit of Valentines Day, we ask that you show us the 3 locations in Guild Wars 2 where you would take your date! For each location, take your best screenshot and include some text to go along with it. The text should explain in some manner, why you choose to bring your date to that location. Try to be creative and have fun with it! Be sure to hide the HUD (default Ctrl + Shift + H)! You may crop your screenshot as you wish. Post your entry on this board, which has been made specifically for this contest. Your entry should be a new thread with 3 screenshots and text underneath each one as explained. Contest closes on Sunday February 24, 2013 at 11:59 PM EDT. We'll choose our favorite and announce the winner a week from the contest close date. This collector's edition game is for North America. Therefore this contest is limited to residents in USA and Canada (excluding Quebec). Limit one contest entry per person. Only the first 3 screenshots and each of their accompanying text in the entry will be considered. An entry must be posted on this board as a new topic. Must be registered on our forum. Contest winner will be contacted by private message on the forums. Read the complete contest rules here. More screenshots of the prize! We would like to give our huge thanks to ArenaNet for their continuous support and love for fan sites like us!